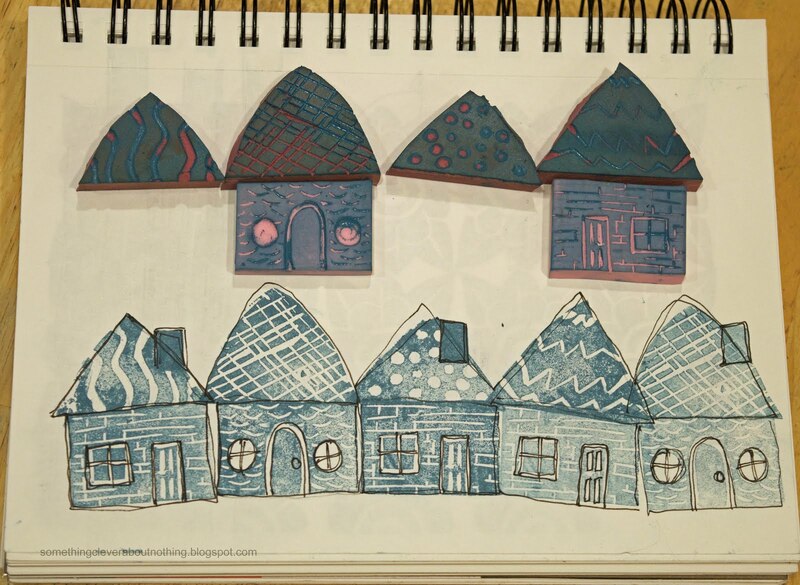 Denise Spillane left a comment saying she thought my trees/hills would make great roofs for houses. She is brilliant, because, as you can see below, they make lovely houses! Thanks for the idea Denise! I love getting comments on my blog! They are lovely houses, very African? I love these houses!!! I love any art with houses!!! How will I set up my Film Studio?